Our company is in search of a dedicated HR Manager willing to go the extra mile for guests and with experience opening a hotel. If this sounds like you, Apply Today for our location in New York, NY! Our management group is a growing development of upscale properties with plans to expand nationwide in the coming years. Our hotel portfolio boasts ideal locations and unique products giving our guests a once in a life-time experience. From small boutique to expansive upscale, our properties make it easy for you to find your niche. If you would like to become an HR Manager with a growing company, don’t miss this opportunity at our location in New York, NY! Job Responsibilities: A Human Resources Manager is responsible for managing and overseeing all aspects of the HR department including selection, recruitment, benefits, compensation, education, development, training, on-boarding and more. Specific requirements of this position are knowledge of local employment laws, termination processes, representation at local job fairs and budgeting. This role is crucial to the success of the growing development of the company. By maintaining an upbeat attitude and consistently engaging with employees, this position will sustain a positive environment for everyone. Participating in 2 hotel openings comes with a variety of responsibilities and demands dedication and ownership. As Human Resources Manager you will be be the liaison between Executive and the operational teams of the Hotel, as well as, the key Human Resources contact within the Headquarters. Apply Now- Human Resources Manager located in New York, NY. If you would like to be considered for this position, email your resume to newyorkjob@geckohospitality.com. The Human Resources Manager must be Computer literate (Windows environment), Powerpoint, OPERA, and have an aptitude for new technologies as well as fluent in english and preferably another European language. Cari brings industry-specific expertise and unique insight to our clients regarding senior-level leadership needs. She has served as an industry leader, spokesperson, and strategic advisor to senior management. 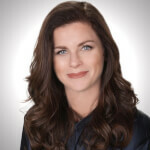 Prior to joining Gecko Hospitality, Cari held management roles with Hilton Hotels, Westin Hotels, and was principal of Island Marketing Group, a resort marketing and consulting firm serving resorts both in the United States and around the world. Cari has demonstrated ability to understand each individual client's needs and objectives, and develop a marketing plan to accomplish those. Her talent lies in discerning excellence from mediocrity and delivering only the most impactful team members to her clients. Cari serves as a strategic partner for her clients by evaluating candidates’ individual assets that make them a fit to each organization's operational needs and culture.